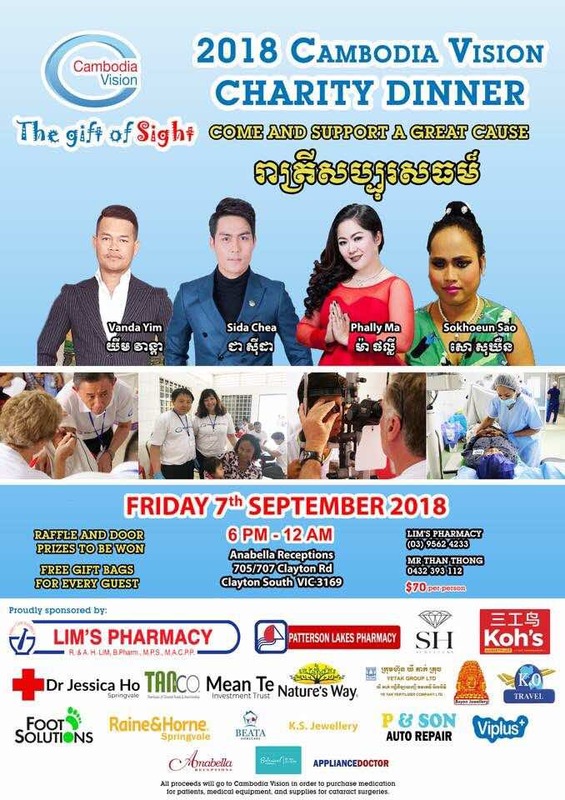 Cambodia Vision invite you to this year’s Melbourne fundraiser dinner to be held on Friday 7th September from 6pm, at the Anabella Reception Center: 705 Clayton Road, Clayton South VIC. As well as an evening of dining and dancing, the night will include raffle and door prizes and live music from Cambodian entertainers. Each guest will also receive a free gift bag! All proceeds from the night go to purchase medication for patients, medical equipment and supplies for cataract surgeries.